We have discussed hypodontia in the part I of this article. 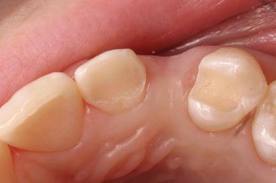 Here we will look at extra teeth in addition to those in the normal dentition. This entry was posted in Oral Care and tagged causes, extra teeth, extra tooth, hyperdontia, management, problems, supernumerary on December 7, 2011 by phebe. A typical human being has 20 deciduous (or milk, primary) teeth, consisting of 4 incisors, 2 canines, and 2 molars in each jaw (upper and lower). This is followed by the permanent dentition (or secondary dentition), which consists of 4 incisors, 2 canines, 4 premolars, and 6 molars in each jaw, making up a total of 32teeth in a typical adult. This entry was posted in Oral Care and tagged causes, hypodontia, missing teeth, missing tooth, oligodontia, what to do on December 6, 2011 by phebe. This entry was posted in Oral Care and tagged anxiety, causes, Dental phobia, dental phobic, dentophobia, fear of dentists on September 16, 2011 by phebe.